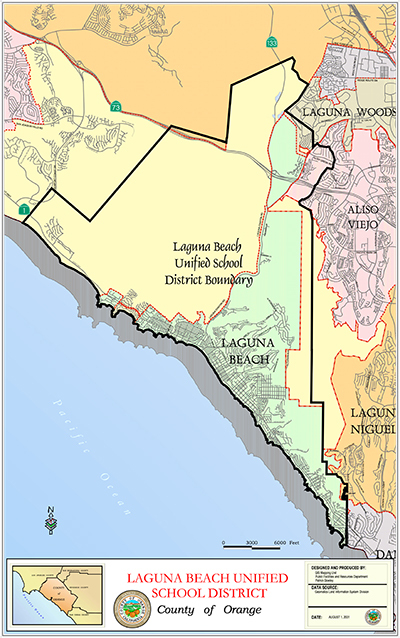 Laguna Beach Unified School District encompasses the entire city of Laguna Beach, in addition to portions of Newport Coast and Aliso Viejo. 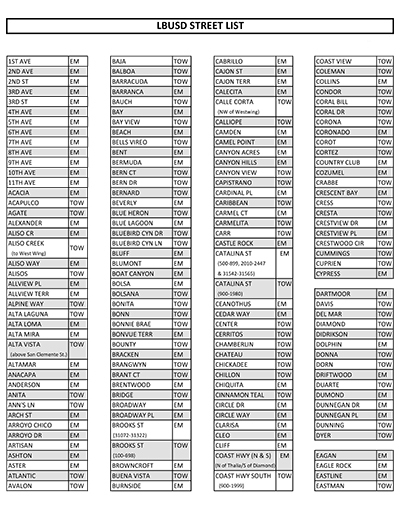 Use the map or street list below to determine if your address falls within the district boundaries. 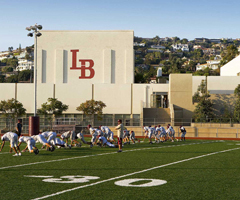 Please note that there are several new building sites, specifically in Newport Coast, that are either zoned to Laguna Beach USD or Newport Mesa USD. Because the sites are new and zoning maps are not currently available, the best way to address these areas is to contact the Orange County Tax Assessor's Office at (714) 834-2123. If you would like more information about registering your child in the district, please visit the Enrollment Page.